People who haven’t tried acupuncture might recall memories of childhood injections and hesitate to try a therapy that involves getting poked with needles. However, the average size of an acupuncture needle is .25 mm which is 20 times smaller than the average hypodermic needle used for injections. That is just over twice the size of a human hair. Depending on where the needles are inserted, it’s often a painless procedure. There can be unusual sensations as the body’s bio-electric energy or qi is being mobilized; however, they don’t last long and aren’t painful. For very sensitive people, the tiniest needles of just .18 mm can be used, and acupuncture needles don’t have to be inserted deeply to be effective. Acupuncture is gaining wider acceptance as an effective treatment for pain of all kinds, and many people know about this. But did you know that acupuncture can treat a lot more than low back pain? Acupuncture can treat many different types of problems; there isn’t space to list them all. A few common conditions are early stage colds, seasonal allergies and hay fever, nausea, anxiety and depression, infertility, and many neurological disorders. One key area acupuncture can make a huge difference is with a stroke patient. If a patient can be treated with acupuncture within the first three weeks of a stroke occurring, there can be a considerable improvement. After 3-4 weeks, acupuncture is still effective, but recovery is slower. The documentary 9,000 Needles tells the story of a competitive bodybuilder who recovered from a stroke using acupuncture. Some acupuncturists focus on treating vision issues, emotional health, or PTSD. An acupuncturist I am currently studying with treats patients with Parkinson’s, rheumatoid arthritis and cerebellar atrophy among many other conditions. Most licensed acupuncturists (LAc.) have gone through at least four years of post-graduate training before they get their licenses. These days, some are studying for 5 years and are graduating with doctorates in Oriental or East Asian Medicine. During that time, in addition to acupuncture, they likely studied traditional herbology, tuina, or Chinese medical massage, cupping, guasha scraping, moxibustion (a form of heat therapy), nutritional counseling and exercise (Taiji and qigong) to help patients find health and balance. Acupuncture is just one modality under the umbrella or Traditional Chinese Medicine (TCM), also referred to East Asian Medicine (EAM). In China, the most commonly sought out traditional therapy is herbal medicine. These customized herbal formulas treat everything from colds to cancer. When I was living in Guangzhou China during the SARS outbreak, the teaching hospital of the TCM university where I was studying, successfully treated all their admitted cases of SARS. Not one of the patients treated with herbal formulas died, in contrast with the many deaths that occurred with standard medical treatment. Herbal medicine has some practical limitations in the US due to lack of familiarity with herbal medicine and cost. However, if you are someone doesn’t feel well, and standard medicine cannot find anything wrong or simply doesn’t have a treatment, look into Chinese herbal medicine for a more personalized approach. There are a lot of Different Styles of Acupuncture. The traditional style of medicine practiced throughout East Asia started developing in China over 5,000 years ago. Just over 2,000 years ago the standard original medical text, called the Yellow Emperors Classic, (which many including myself still read today), was well established and spread to countries like Japan, Korea, and Vietnam. Over time, acupuncture developed, and different countries started having their own styles. Within China, medical knowledge was often passed down through families, and families developed their own styles as well. Your acupuncturist may have decided to focus on any number of styles that are still being taught today. Japanese style acupuncture is known for being very gentle and be better for the very sensitive. TCM style acupuncture tends to focus on using points on the traditional acupuncture channels and can have a stronger stimulation. Newer systems of acupuncture focus on the use of the ear or the scalp for treatment and work well for anxiety and neurological conditions. Tung style acupuncture is a popular style that falls under the family lineage category and is known for immediate pain relief. And there are many more. The point is that the field of acupuncture is very broad, and each style has its own techniques. If you’ve tried acupuncture once and it didn’t work for you, it may have had to do with the practitioner’s individual style and experience. Try a different style, and you may get the results you are hoping for. Though very ancient, acupuncture is a relatively new field in the US, with the first acupuncturists appearing in the late ’70s. In the ’80s and ’90s, there was very little research on acupuncture. Because mainstream medicine didn’t understand it, acupuncture was often dismissed as superstitious. However, for the last 15-20 years, research has been pouring out of China on all aspects of Chinese medicine including acupuncture, and there is growing amount research from the US and Europe giving evidence for its effectiveness. Just in Portland, OHSU and Providence are using acupuncture as part of their cancer treatments, and acupuncture is becoming more established in California hospitals as well. As the US is moving through the opioid crisis, more and more doctors are suggesting acupuncture as an alternative to pain killers. For those who are a little more skeptical and need evidence before they are willing to try something as unfamiliar as acupuncture, there are resources that can direct you to the research on acupuncture. Check out the Acupuncture Now Foundation and the Society for Acupuncture Research for information on acupuncture research. The Wilsonville Chamber advocates for business-friendly legislation at the local and state levels of government. We monitor public policy issues, so you can focus on your business, not government regulation. The WACC Legislative Blog Report was created to serve as an important, bipartisan resource during the current Legislative Session. The Chamber’s goal is to report to our members with timely information to enable you to be well-informed and effectively involved in the legislative process. We continue to be amazed that every major revenue-raising proposal is still on the front-burner so far this session. There continues to be a full court press by legislative leadership to pass a major business tax increase and a carbon pricing bill (cap and trade) and a paid family leave system, and another round of Medicaid taxes. The cumulative tax impact of all of these measures could easily approach $5 billion per bennium! Cap & Trade. (HB 2020) On Monday, the Joint Committee on Carbon Reduction heard from the Oregon Department of Forestry about sequestration on Oregon forestland. The report explained that Oregon forests sequester half of all carbon that we emit annually (31 million metric tons of carbon). The presentation was eye-opening, particularly since Oregon’s carbon reduction goals that were set in the early 2000s were developed without acknowledgment of the sequestration potential from Oregon’s farms, forestlands, or even urban tree stands. In light of this new information, the state is already well-on-its-way to meeting the carbon reduction goals established by the bill. The Joint Committee is still working on amendments to HB 2020, which should be available at the end of the week. We are expecting to brand new amendments, and perhaps a total re-write of the bill, to be unveiled this week. We are not anticipating major improvements to the bill, but because the amendments are being closely guarded, we really have no idea what the new amendments will include. There are currently not enough votes to pass this bill, but we believe a bill will pass. It will likely undergo numerous re-writes over the next few months to accommodate concerns from OSCC and others who represent businesses that will be impacted. Age Discrimination. (HB 2818) On Wednesday, House Business & Labor Committee held a hearing on HB 2818, which makes it an unlawful employment practice for an employer to seek the age of an applicant or to include certain words or phrases in recruitment that suggest age preference. The most problematic part of HB 2818 is the penalty structure. Under this bill, a court may award liquidated damages equal to twice the economic compensatory damages awarded or $25,000, whichever is greater. OSCC has joined a coalition business group to oppose HB 2818. Ensures that training and education are the first steps toward compliance. OSCC has issued an ACTION ALERT for HB 2498 (Independent Contractors) for the House of Representatives. THANK YOU FOR THE GREAT RESPONSES. OSCC is literally changing the outcome on this legislation! Let’s continue to pour it on! To date, OSCC has generated 201 letters to legislators on this bill. On Monday, March 25 at 6 pm, the House Business & Labor Committee and Senate Workforce Committee plan to host a joint public hearing on paid family & medical leave bills that would SIGNIFICANTLY alter Oregon’s business climate. We need local Chambers to show up that evening to speak out about the impact of this extreme legislation! An action alert will follow later this week. Independent Contractors. (HB 2498) OSCC was very successful in getting quick grassroots feedback into the House Rules Committee in opposition to HB 2498. As a quick reminder, HB 2498 would have turned Oregon’s independent contracting laws upside down, jeopardizing thousands of jobs. OSCC joined several other business organizations to testify last Monday. We were joined by Keizer Chamber’s Dan Kohler, who spoke about the detrimental impacts to insurance, funeral home, and salon contractors. The Committee is weighing options as it considers a different path forward. Thank you to Bend Chamber and all who weighed in! OSCC has issued an ACTION ALERT for HB 2020 (Cap & Trade) for all legislators. PLEASE RESPOND ASAP WITH YOUR MESSAGE. To date, OSCC has generated 202 letters to legislators on this bill. Our goal is 1,000. Cap & Trade hearings provided a dose of reality. Hearings in the past week in Newport, Baker City, The Dalles, and Bend provided lawmakers with the stark reality that not all Oregonians are clamoring to pay more for their gasoline, natural gas or electricity to put only a very minuscule dent in Oregon’s greenhouse gas reductions. In what was expected to be a showcase for the organizing strength of the environmental activists, something else happened….regular working Oregonians showed up and voiced their displeasure with HB 2020 and its associated costs. OSCC opposed HB 3022 which overturns Oregon’s landmark workers’ compensation reforms. OSCC testified against HB 3022 last week, a bill that would have reversed many key, cost-saving provisions in Oregon’s workers’ compensation system. Before 1990, Oregon had the highest frequency of workplace injury claims, third highest medical costs, and the sixth highest premium costs. Today, we have some of the lowest rates in the country and safety programs that help reduce workplace injuries. Oregon’s workers’ compensation insurance system is one of the last remaining competitive advantages for Oregon companies and OSCC will vigilantly safeguard the system from being compromised. Phil Gerbyshak is an award-winning speaker and trainer who works with organizations and salespeople to integrate social selling and technology into their business practices. A former VP of IT and director of social selling, he’s been leading and training teams of all sizes for many years. He’s published 5 books and more than 2,500 articles and has been quoted in The Wall Street Journal, Fortune, USA Today, and more. Do you want to grow your business faster? Do you know how to leverage the leads you already have? Wondering how to earn referrals? Join Phil Gerbyshak as he answers all these questions and more in “Power Selling with LinkedIn.” Phil has been using the internet to make sales since before social selling was a thing, and he trains people from around the world on how to leverage leads, earn referrals, and grow their business. Learn how to better understand and embrace social media, and how can you use it to shed your invisibility and help manage your career and your professional image. Everyone has a personal brand. Your LinkedIn profile either helps to build up and reinforce your personal brand – or it doesn’t. You’ll learn how to first brand yourself boldly and then create personal connections and strong relationships using the latest technologies coupled with your values. 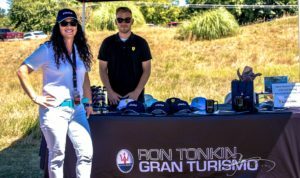 Besides being part of an exclusive networking event and a premiere round of golf, this event is filled with great opportunities to promote your business. This is a tournament you won’t want to miss! This year’s tournament will be held on June 19, 2019, at Langdon Farms Golf Club, one of Oregon’s premier award-winning golf courses. We are expecting over 100 business professionals for this fun day on the course that includes networking, golf, food, and drink. View the different levels of participation from which you can choose how you would like to participate in the event and support the Wilsonville Chamber. The Annual Chamber Tournament is a fundraiser to help support our member programs and Workforce Development Scholarship Program. Now is the time you start thinking about telling everyone and planning your perfect day! This process can seem a bit overwhelming at first, but no worries we are here to help! Here are our 10 Essential Wedding Planning Tips & Tricks to help make this time a bit easier and a lot more fun! When it comes to the announcement, you have so many options to choose from. We encourage you to decide together and do something that fits you as a couple, especially for social media! However, remember that there are people that are going to want to hear this amazing news in person (like your parents). Make sure to have your close family and friends in the loop before you put up that super adorable pic of you with your ring! Tell them in private one on one. You may think this is a weird way to start…” Why a season?” One of the first vendors that you will choose for your big day will be the venue. In most cases, venues book a year out and may only have a limited amount of dates for you to pick from. You want to be open to finding your dream venue and securing a date within a season that you love! Budget is always a hard topic. There are a lot of factors to consider when choosing your budget. The biggest factor to consider, by far, is the funding (who is paying for the wedding?) We suggest that you ask these hard questions first so that you have a realistic budget when you start planning. Whatever your budget is your wedding is going to be absolutely amazing! Will there be financial support for some portion of the wedding? What type of wedding would you like to have? Gone is the day of traditions, and we are not mad about it!! There are tons of ways to tie the knot now, and like everything else, this should perfectly fit your style. This day is a reflection of you, your relationship and your personal style! Consider what story you would like to tell on your day and choose a theme. Themes could be something as simple as “rustic,” or you can have a more in-depth theme such as “Game of Thrones,” whatever it is, make sure it represents you! The stars are the limit!! Your venue is setting the stage for your entire day. You’ll want to look at venues that work within your budget, theme and season. We encourage you to look at multiple venues, in person, before choosing the right one for your big day! Your wedding team (photographer, videographer, planner, florist, etc.) are crucial to making your day flow seamlessly. You want to ensure that each of your vendors has as much invested in your wedding day as you do, that you are not just a number. To do this, we recommend interviewing up to three in each category on the phone or in person and hiring the one that you click with! Check out our highly preferred vendor list by clicking here. Now this person may not always say yes. However, they should know your vision as well as you do. On the day of you want to be sipping mimosas and dreaming about walking down the aisle, not answering a billion questions. A yes person will be there to answer those questions for you so that you can enjoy. This day is about you two and only you! This is the day you have been planning for, for probably most of your life. Your family has probably been planning for just as long and WILL have opinions, which is awesome. However, it is YOUR day. This day should be all about you as a couple, and you definitely should feel good making executive decisions based on that. You’ve got this! !